Hereditary peripheral neuropathies present a group of clinically and genetically heterogeneous entities. All known forms, including the various forms of Charcot-Marie-Tooth disease (CMT) are characterized as Mendelian traits and over 35 genes have been identified thus far. The mutational mechanism of the most common CMT type, CMT1A, is a 1.5 Mb chromosomal duplication at 17p12 that contains the gene PMP22. Only recently it has been realized that such copy number variants (CNV) are a widespread phenomenon and important for disease. 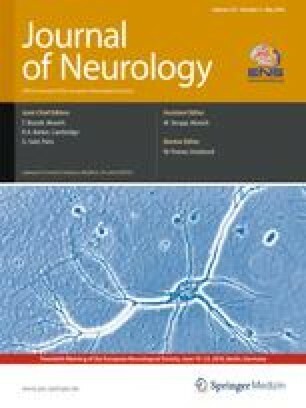 However, it is not known whether CNVs play a wider role in hereditary peripheral neuropathies outside of CMT1A. In a phenotypically heterogeneous sample of 97 patients, we performed the first high-density CNV study of 34 genomic regions harboring known genes for hereditary peripheral neuropathies including the 17p12 duplication region, with comparative genomic hybridization (CGH) microarrays. We identified three CNVs that affected coding exons. A novel shorter form of a PMP22 duplication was detected in a CMT1A family previously tested negative in a commercial test. Two other CNVs in MTMR2 and ARHGEF10 are likely not disease associated. Our results indicate that CNVs are a rare cause for non-CMT1A CMT. Their potential relevance as disease modifiers remains to be evaluated. The present study design cannot rule out that specific CMT forms exist where CNVs play a larger role. The online version of this article (doi: 10.1007/s00415-009-5401-2) contains supplementary material, which is available to authorized users. This study was supported by the National Institute of Neurological Disorders and Stroke (5R01NS052767-04, to S.Z.) and the Charcot-Marie-Tooth Association (to S.Z. ).